London has adapted the landscape around its major landmarks to protect them from terror attacks, with Tuesday's suspected car assault on the Houses of Parliament ending at a crash barrier. "Since the early 1990s, London has led the way in advancing urban counter-terrorist security in the form of 'rings of steel'," Professor Jon Coaffee, of the Resilient Cities Lab at the University of Warwick, told AFP. The 'ring of steel' consists of strategically-positioned entry checkpoints, bollards and hi-tech surveillance combined with visible policing at times of high threat. Over the last 10 years, additional measures have been deployed throughout London, centred upon the so-called Government Security Zone encompassing the Whitehall ministries district surrounding the parliament. The 'ring of steel' is also deployed for specific occasions, such as US President Donald Trump's recent one-night stay at the American ambassador's residence in the British capital in July. The building was surrounded by a temporary metal security fence. Whitehall, targeted on Tuesday, has extra security measures are in place around parliament, with concrete barriers, bollards, concealed barriers and more obvious security measures. Most were installed after the 2001 attacks on the United States and the 2005 London bombings due to the fear of indiscriminate attacks against public places. However, "over time, terrorist attacks have become more sophisticated, employing tactics and targeting locations which negate such traditional security architectures," said Coaffee. 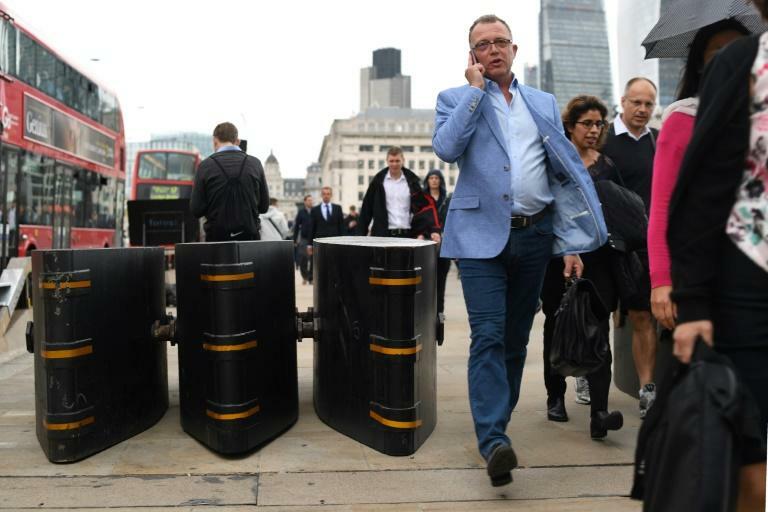 Since the Westminster Bridge attack in March 2017, which killed five people, concrete blocks and metal barriers have appeared on the city's bridges to prevent cars driving onto the pavement, at the entrances to public spaces and in front of transport hubs. 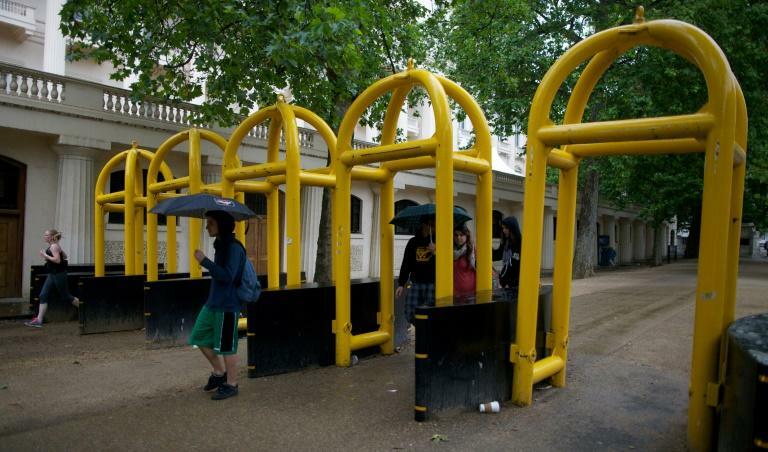 Yellow metal security arches have appeared on pavements around Buckingham Palace, while barriers have been installed around Windsor Castle, the historic royal residence west of London. In 2014, the City of London -- the capital's financial district -- rolled out a large deployment of armed police in a bid to reassure the public and deter and detect terror activity. The system -- which also relies on the vigilance of the public and local businesses who are encouraged to report any unusual sightings -- has since been copied in other British cities.